The Competitions Act 1998 aims to end any agreements between suppliers (or retailers) which restrict competition. It is administered by the Office of Fair Trading. The OFT has always concerned itself with anti-competitive behaviour but the Competitions Act 1998 gives the OFT far greater powers than previously. 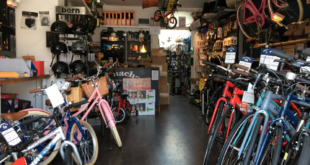 * In a letter in the March issue of BicycleBusiness Jeff Kay of Ewood Bikes asked whether the Competitions Act would force suppliers to supply products to whichever retailer asked for them. This is a common misconception of the Act. Sadly for a lot of dealers (joy to others), the new Act will not force Marin/Cannondale/Orange etc into supplying any IBD which asks for product. A supplier still has the right to refuse to supply any retailer. 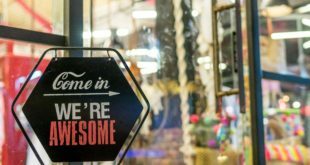 A supplier can also still reject an established customer simply by proving there wasnt enough product to go round to every retail account or the retailer being rejected had a bad payment record. If a supplier grants exclusivity to an individual retailer this agreement will not be affected by the new Act. * The carving up of markets will now be enforced with more rigidity. For instance, a informal, non-binding understanding between two suppliers that neither will poach the others customers could now be clobbered much more easily by the Office of Fair Trading. * The OFT now has greater powers to demand the information it requires to prove anti-competiveness. There are special rules for trade associations, which, says Howard Cartlidge, head of Olswangs Competition Group, the OFT view with suspicion as a forum for competitors to share sensitive commercial information. For instance, should an informal body of suppliers at a Bicycle Association meeting, trade information on bad payers they could be falling foul of the new Act and the OFT could enter and search Starley House, under a warrant and using reasonable force, to seek out incriminating documentation. The new Act is mostly targetted at preventing the formation of cartels, no matter how informal.